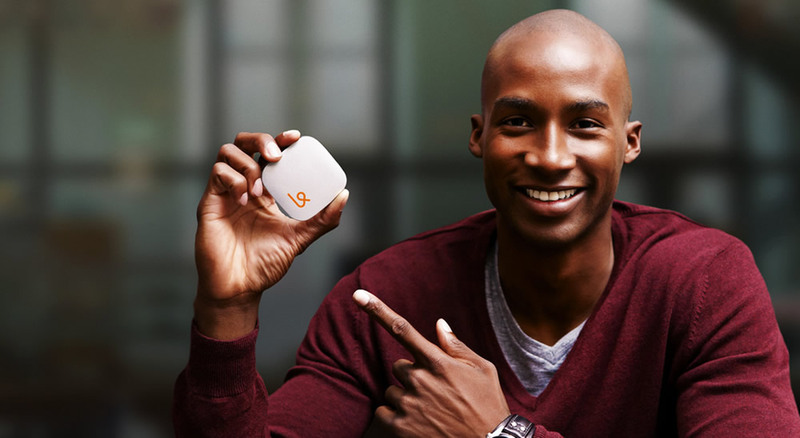 Covered in detail on the Karma Mobility site, the Karma 4G device is a mobile hotspot that rewards the owner for sharing the connection with friends or strangers. Powered by the Clearwire network, the user first purchases the device for $79 and starts off with 1GB of data. There’s also no contract required to activate the device on the Clearwire network. Each additional gigabyte of data costs the user $14, but there’s no expiration date on the data. Someone that uses the Internet extremely infrequently for tasks like checking email or Facebook could get away with paying for a gigabyte of data every few months. However, the creators of the Karma device want users to share the connection with others. When someone other than the owner connects to the Karma device, the guest will be given 100MB to use for browsing the Web. In addition, the owner of the Karma device will be credited 100MB to their Karma account. If a user activates the Karma device in a busy coffee shop, airport or another public area, they could easily rack up enough data credits to avoid paying for additional data that month. The Karma mobile hotspot allows up to eight connections at any given time and can operate from six to eight hours on a full charge. Users can charge the device with a micro-USB cord. Battery life can be checked by looking at the indicator lights on the front of the device. Regarding speed, users will average around 3 to 6 Mbps when downloading with spikes in the 10 Mbps range. Upload speeds hover around 1.5 Mbps. In addition, the hotspot has a range of about 100 feet. However, Karma does require that a guest has a Facebook account in order to connect to the mobile hotspot. By using Facebook, the development team can keep track of who has connected to the hotspot in order to reward data credits accurately. 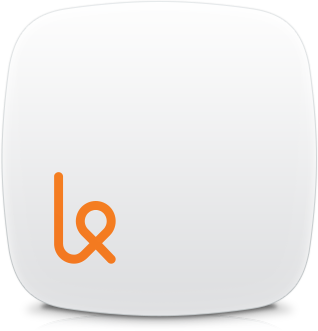 In addition, the owner of the Karma mobile hotspot is notified by email when a new user connects to the device. The owner can also view the name and picture of the person connected to the hotspot on the Karma Web dashboard. However, guests can also view the Facebook profile picture and name of the Karma owner. Neither guests or the owner of the Karma device will be able to view browsing history. Currently, the Karma mobile hotspot can be used in eighty cities within the United States including New York City, San Francisco, Chicago, Washington D.C., Las Vegas, Nashville, Atlanta, Dallas and Boston. Users can check to see if their area is covered by entering in their zip code here. The main competitor to Karma would likely be the recently announced hotspot device from FreedomPop. The upcoming Hub Burst device created by FreedomPop will give users 1GB of data a month for free. Users that need more data can sign up for 10GB-per-month plan for $9.99. In addition, FreedomPop will offer a pay-as-you-go plan at $5 per gigabyte. 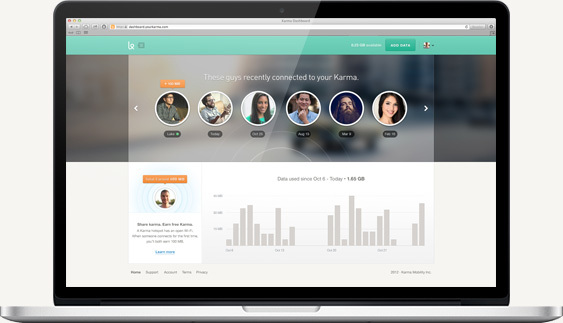 Similar to the Karma device, users will be able to earn free data from referrals. However, the Hub Burst device is designed to remain in the home as a traditional router while the Karma device is small enough to slip in a pocket for mobile use.